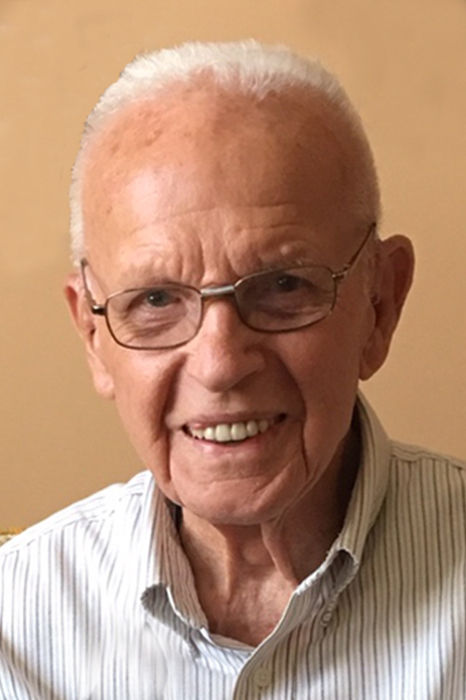 Edward Joseph Wujek, 96, of Litchfield, passed away Wed., Nov. 21, 2018 at 10:45 a.m. in Heritage Health Therapy & Senior Care in Litchfield. Mr. Wujek was a veteran of the United States Army Air Corp. and served on Guadalcanal in the South Pacific during WWII. He was born on Apr. 7, 1922 in LaSalle – Peru, IL, a son of Stanley & Agnes (Olsztynski) Wujek. He married Amelia Lola Garcia on June 29, 1946 in DePue, IL. She preceded him in death on Nov. 6, 2014. Edward was a member of Holy Family Parish in Litchfield and Holy Cross Parish in Mendota. He served as a volunteer on the Mendota Ambulance service for several years. Over the years, he was self-employed as a farmer. He had also owned a restaurant, worked as a truck driver and was a watchmaker. He was preceded in death by his parents; wife; 2 brothers, Frank & Steve Wujek; 2 sisters, Louise Witte and Rosemary Allert. A prayer service will be held Mon.., Nov. 26, 2018 at 7 p.m. in Plummer Funeral Home in Litchfield. Fr. Robert Porter will officiate. Visitation will be held from 5 – 7 p.m. Cremation will follow the services. The family suggests memorials to HSHS St. Francis Hospital in Litchfield.